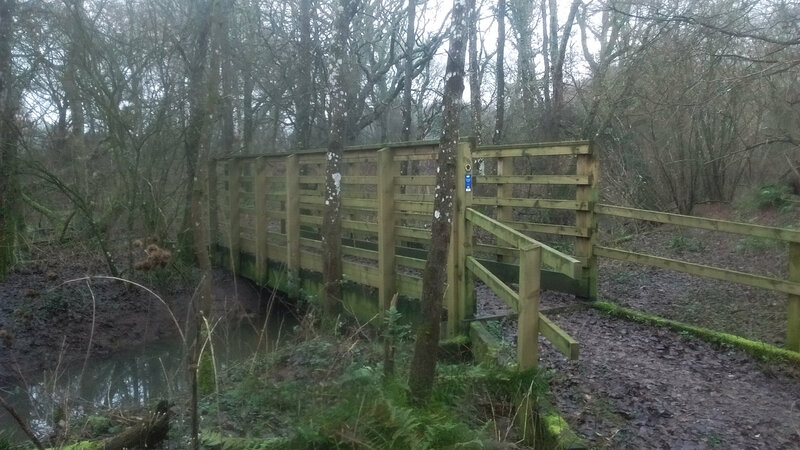 It’s just a bridge on a bridleway in Milton Hyde, Arlington, North-West of Eastbourne, one of many on the rights of way network, but it has a story to tell. From the 16th century, up to 1894, local parishes were responsible for maintaining most roads, bridleways and paths in their parish. Parishes varied in how good they were in maintaining these routes. If your village was near a big town you and your fellow parishioners might be interested in the road to the town, but not the ongoing route through your parish, to other villages. So perhaps that part of the route saw little maintenance. Maintenance, in any case, tended to consist of one man with a broom and shovel doing what he could. One parish that did little maintenance was the parish of Arlington. In 1894 legislation removed the responsibility for roads, bridleways and paths from parishes. The new body responsible for Arlington was Hailsham Rural District Council. So horrified was the new council at the state of routes in Arlington that their minutes show that they tried to get money back from Arlington, but without apparent success. Worse, having got rid of their highway responsibilities, Arlington parish started to pester Hailsham RDC to repair the routes, which they complained were in poor condition! One problem that Hailsham inherited may well have been failing to deal with was the issue of the bridge carrying the bridleway over the bridge at Milton Hide. Some years before nouveau riche landowner James Gwynne had started to accumulate land in Arlington, including Michelham Priory and what is now Abbots Wood. 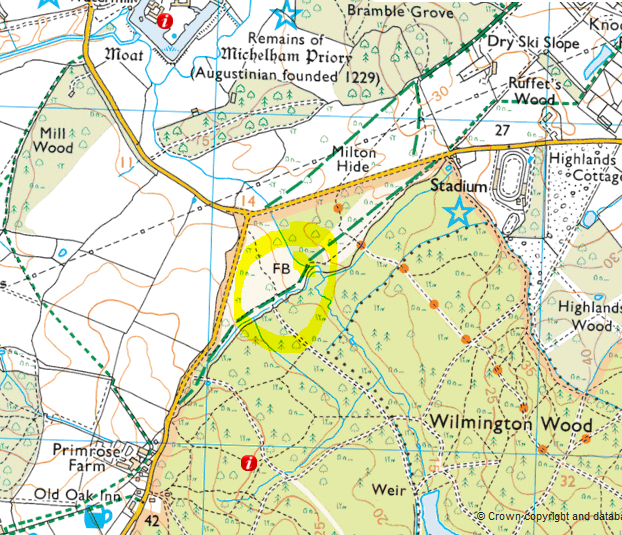 Their minutes show that Hailsham RDC discovered that the bridge over the bridleway at Milton Hide (shown on the map below) had been removed. They contacted Mr Gwynne who replied that he had had it removed and that there was no right of way across the Hide. Hailsham contacted Arlington Parish who asserted that there was a right of way. Hailsham RDC replaced the bridge. It was removed. This procedure punctuated the minutes of the council up to the first world war. The bridge was removed at the instigation of Mr Gwynne. The council replaced it and then it was removed again. This cycle repeated itself on a number of occasions. But in 1915 James Gwynne died and the matter disappears from the Hailsham council minutes. In the 1950s, when the first definitive map was drawn up, Arlington Parish recorded the route on the list of rights of way that it believed existed and, because no one objected, the route was added to the definitive map of rights of way. As you can see from the picture of the bridge, it has been replaced recently by the East Sussex County Council’s rights of way team. The cost of replacing these bridges is very small compared with the cost of road repairs, but the amount of the rights of way budget is very small too. Further cuts mean that bridges like this may not be replaced, leading to the gradual decimation of the rights of way network. Rights of way continue to need defending.